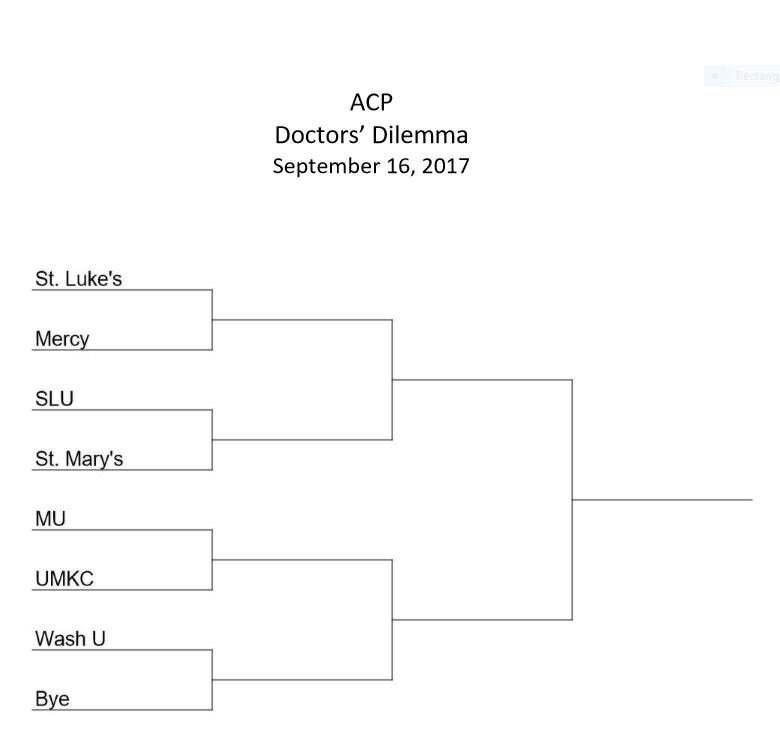 The 2017 Missouri Doctors Dilemma contest will be at 3:50pm Saturday, Sept 16, 2017 in Salon A at Tan Tar A. Teams competing are: UMKC, MU, St Luke's, Mercy, St Mary's, SLU and Wash U. 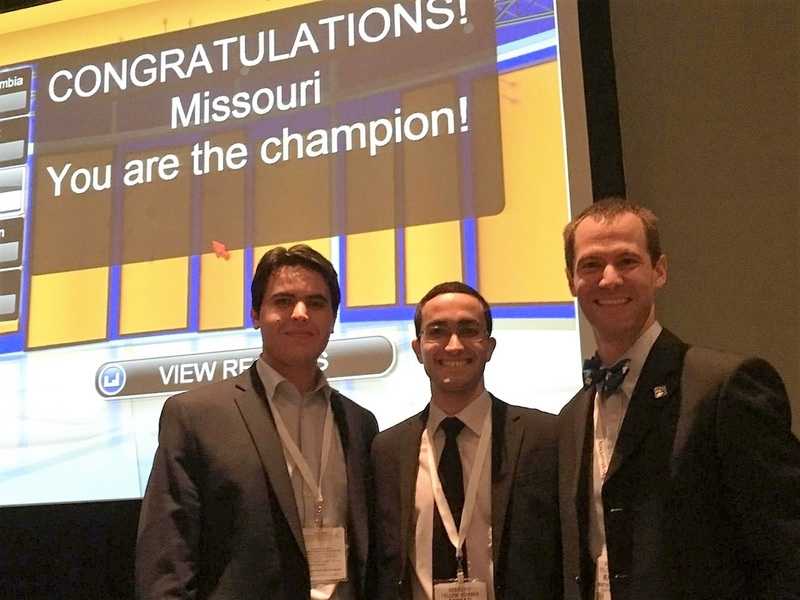 The winning team will be entered into the IM18 competition in New Orleans. A coin toss will determine which team goes first in each round. All questions will be projected on the screen and read by the emcee. 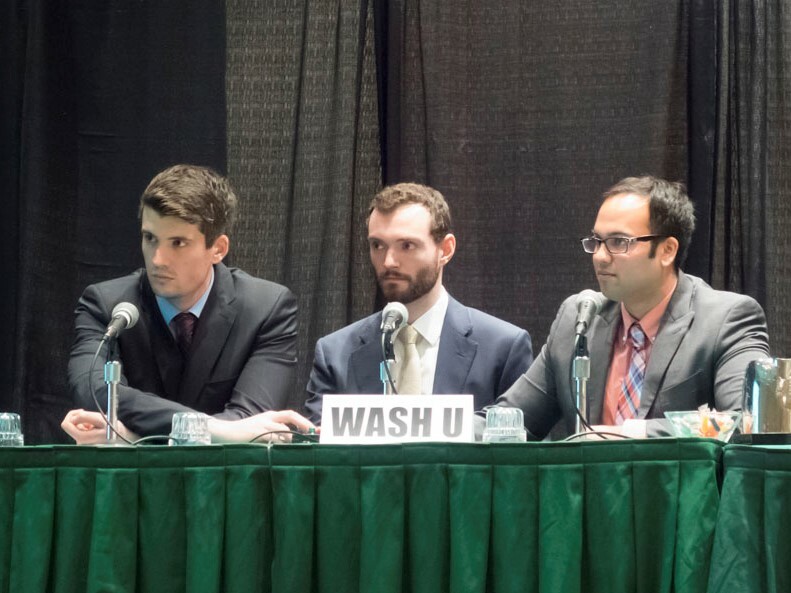 Each match will consist of three categories with five questions each ranging from a value of 100 to 500. After the question has been completely read players have ten seconds to buzz in. If nobody buzzes in we move to the next question with the team who made the last selection making the next selection. Teams will score points for a correct answer. Teams will lose points for an incorrect answer. The second team has ten seconds to buzz in after the emcee is finished reading. The second team will have ten seconds to answer after buzzing in. If the second team chooses not to buzz in we move to the next question with the team that made the previous selection selecting again. The final question value is determined by each team's wager - anywhere from 0 to 100% of current points. If one team has a negative value immediately prior to the final question being read, the team that has a positive value wins. If tied after the final question, the team with the most number of correct answers will be the winner.